The famous Mandela Way pink tank! 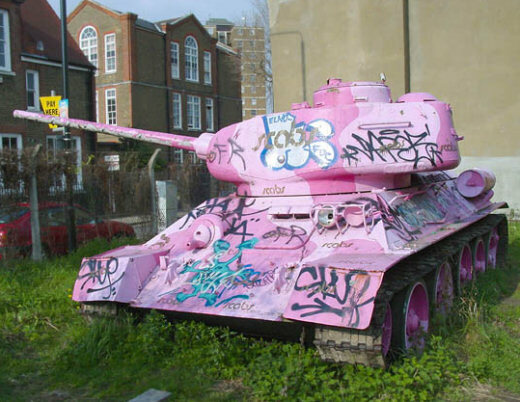 Description: This tank is a T-34 Tank a non-functional Soviet T-34 battle tank owned by Russell Gray, who lives nearby. 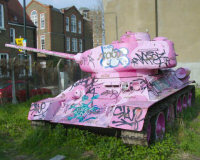 It was the tank was the subject of a work by Cubitt Artists and Aleksandra Mir who painted it bright pink in 2002. 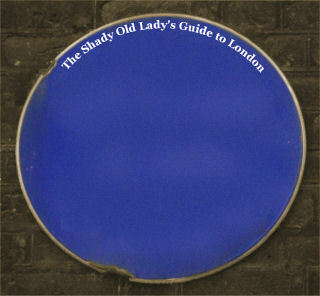 It has since been repainted and graffited.